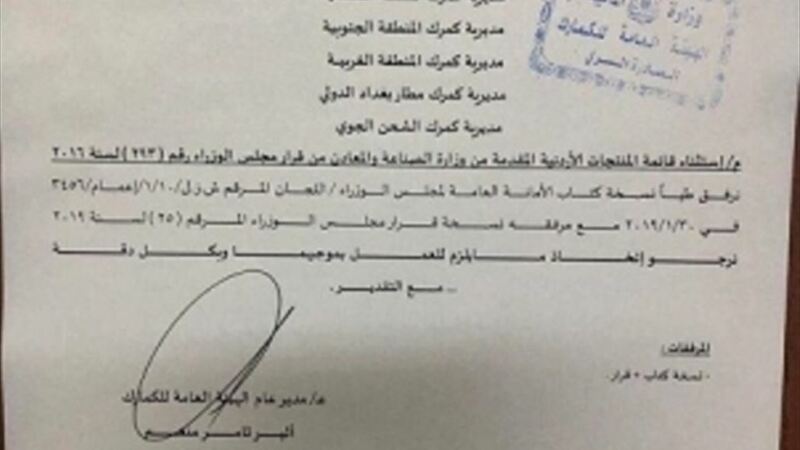 A member of the Iraqi Council of Representatives Ala Nassif, Friday, a collection of documents showing the renewal of the exemption of 371 Jordanian goods from customs duties. 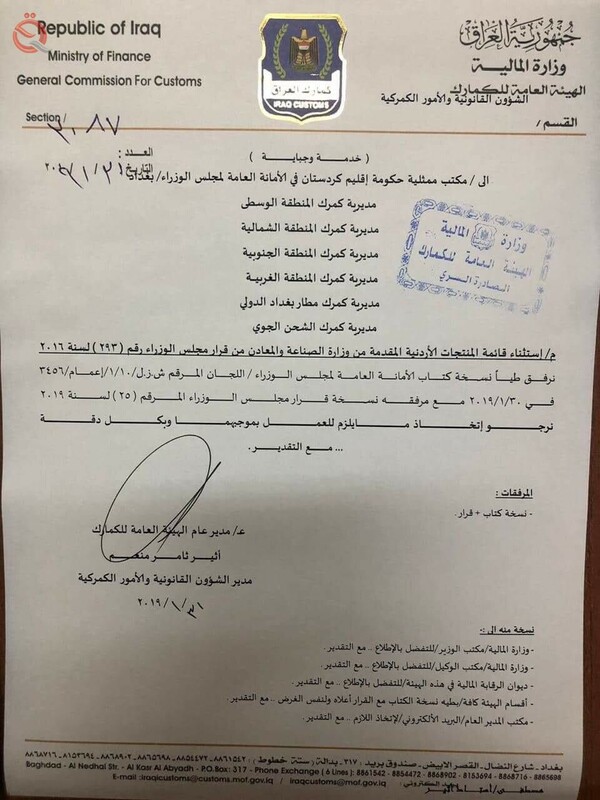 MP Nassif called on President Barham Saleh to intervene and protect the national industry from the "disaster" it is facing, which is the exemption of hundreds of items of goods imported from customs duties, such as the exemption of Jordanian goods from customs, mostly manufactured in Iraq. Alsumaria News publishes these documents as received from the deputy. "Economy News" received a collection of documents showing the renewal of the exemption of 371 Jordanian goods from customs duties.